YANGON, Myanmar, Nov 27, (Agencies): Pope Francis arrived Monday on a visit to Myanmar and Bangladesh to encourage their tiny Catholic communities and reach out to some of Asia’s most peripheral and poor, but the big question looming was whether he would utter the word “Rohingya” while he’s here. Francis immediately dove into the Rohingya Muslim crisis by meeting Monday evening with Myanmar’s powerful military leader, Gen. Min Aung Hlaing and three officials from the bureau of special operations. 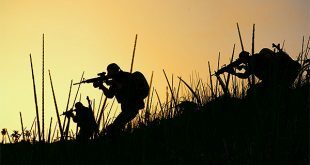 The general is in charge of the security operations in Rakhine state, where a military crackdown against the Muslim minority has sent more than 620,000 Rohingya into neighboring Bangladesh. 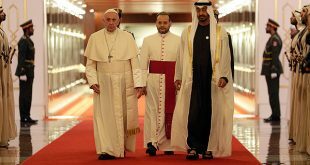 Vatican spokesman Greg Burke didn’t provide details of the private, 15-minute meeting at the archbishop’s residence, other than to say that “They spoke of the great responsibility of the authorities of the country in this moment of transition.” Rohingya in recent months have been subject to what the United Nations says is a campaign of “textbook ethnic cleansing” by the military in Rakhine. 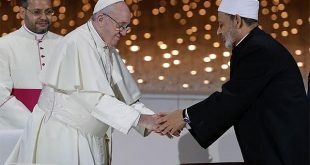 But Myanmar’s local Catholic Church has publicly urged Francis to avoid using the term “Rohyingya” because it is shunned by many locally because the ethnic group is not a recognized minority in the country. 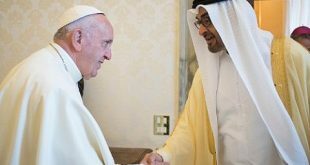 Francis, though, has already prayed for “our Rohingya brothers and sisters,” and any decision to avoid the term could be viewed as a capitulation to Myanmar’s military and a stain on his legacy of standing up for the most oppressed and marginalized of society, no matter how impolitic. 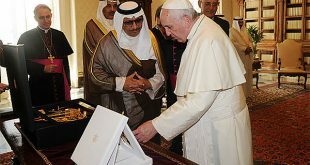 Burke didn’t say if Francis used the term in his meeting with the general, which ended with an exchange of gifts: Francis gave him a medallion of the trip, while the general gave the pope a harp in the shape of a boat, and an ornate rice bowl. 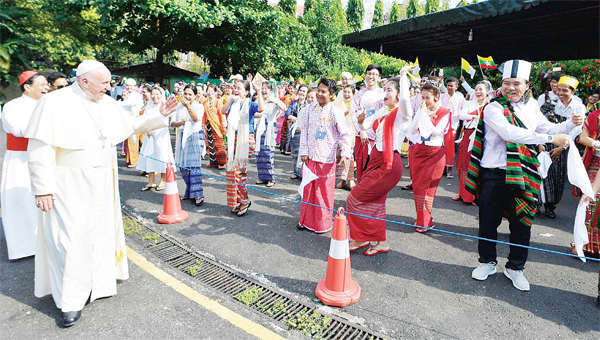 Upon arrival in Yangon, the pope was greeted by local Catholic officials and his motorcade passed by thousands of Myanmar’s Catholics, who lined the roads, wearing traditional attire and playing music. Children in traditional dress greeted him as he drove in a simple blue sedan, chanting “Viva il papa!” (Long live the pope) and waving small plastic Burmese and Holy See flags. Posters wishing Francis “a heartiest of welcome” lined the route into town. En route from Rome, Francis greeted journalists on the plane and apologized for the expected heat, which was 90 degrees Fahrenheit (32 Celsius) upon his arrival and is expected to rise during his stay. On Tuesday, Francis begins the main protocol portion of his weeklong trip, meeting with the country’s civilian leader, Aung San Suu Kyi, and delivering a speech to other Burmese authorities and diplomats. He’ll greet a delegation of Rohingya Muslims and meet with Bangladesh’s political and religious leadership in Dhaka. Masses for the Catholic faithful and meetings with the local church hierarchy round out the itinerary in each country. 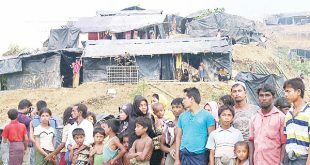 The trip was planned before the latest spasm of violence erupted in August, when Rohingya militants attacked security positions in Rakhine. Myanmar security forces responded with a scorched-earth campaign that forced more than 620,000 Rohingya to flee to Bangladesh, where they are living in squalid refugee camps. In the Kutupalong refugee camp in southern Bangladesh, Senu Ara, 35, welcomed Francis’ arrival for what he might be able to do for the refugees. “He might help us get the peace that we are desperately searching for,” she said. “Even if we stay here he will make our situation better. If he decides to send us back, he will do so in a peaceful way.” But in Yangon, the sentiment was different. 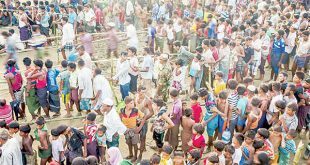 Myanmar’s government and most of the Buddhist majority consider them Bengali migrants from Bangladesh living illegally in the country, though Rohingya have lived there for generations. “Being a religious leader — Catholic leader — means that he is well-regarded, but of course there is this worry if he says something, people might say, ‘OK, he just came to meddle,’” said Burmese analyst Khin Zaw Win, a former political prisoner. “So, I think a lot of diplomacy is needed, in addition to the public relations.” Seaman Kyaw Thu Maung said the issue is difficult because the term “Rohingya” carries so much political weight for all of Myanmar’s people. “But my feeling is that if the pope is going to talk about the Rakhine issue, the people aren’t going to like the pope anymore,” he said. Meanwhile, many of the refugees who have been flooding into Bangladesh to escape the Myanmar military say they’re hopeful that a visit to the region by Pope Francis will help bring peace.